Wintertime is not a great time for trees. Not only are they more susceptible to health and structural difficulties, it is more challenging for you to implement the proper inspections needed to ensure they remain in good health throughout the entirety of the season. For these reasons, it is wise to hire a professional tree service provider for all your winter tree care needs. Otherwise, your landscaping trees may fall victim to one of the top 3 most common winter tree problems. Continue reading to learn what these common winter tree problems are, and where to find the best tree service in town. The high and low seasonal temperature spectrum can greatly affect trees, especially if they are already weakened or sick. The afternoon sun can be very warm for trees, and then the nightly lows bring them back into a freeze. 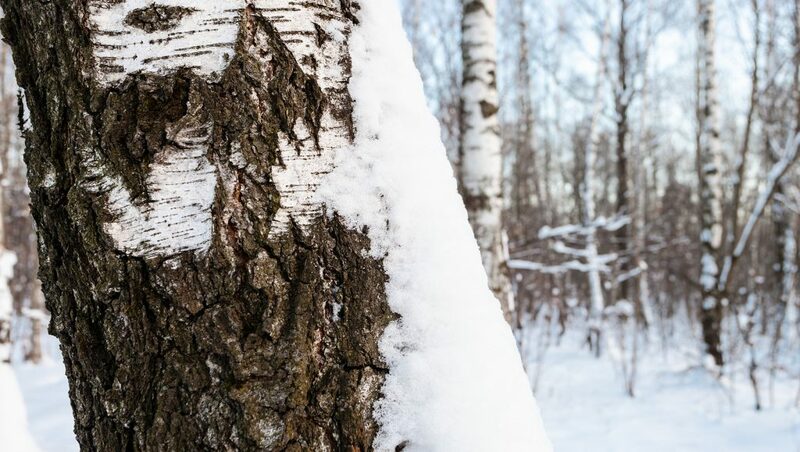 These changes cause a condition informally known as “cold damage”, which is often distinguishable by a wide range of symptoms, such as cracked or peeling bark, and even inner bark damage. Trees that experience late seasonal growth are more vulnerable to cold damage. To reverse cold damage, you will need to implement a customized and strategic tree care plan with the help of an industry professional. To prevent cold damage in your landscaping trees, you will need to do the same, except ahead of time, before the winter season is upon us again next year. Frost heaving is a typically winter tree problem, especially in regions where snow and ice are abundant. This condition starts in the soil. As the outdoor climates freeze and fluctuate, the underground water within the soil beneath trees also freezes. This occurrence develops ice in the soil, which causes the soil to swell upwards towards the base of the tree trunk. You may have seen the ramifications of this condition before in concrete, sidewalks, and pavements. Frost heaving is a problem for tree because it weakens and damages roots, which can then make a tree more susceptible to toppling over. Frost heaving is not something you can really prevent. If it does occur, you will need professional tree service to ensure the tree is not a hazard or liability. Routine tree care is vital to grow strong, healthy, resistant trees; if you stay on top of tree care, a tree has a better chance of surviving frost heave. You would think that trees get plenty of water in the winter with all of the snow, but the reality is that freezing temperatures can cause a tree to lose water reserves at a much faster rate; so fast, they cannot absorb enough water from the ground in time to replace the loss. This results in winter drought, which can be identified through a number of symptoms like branch loss, cracking bark, wildlife infestation, and death. Seasonal drought can also lead to late growth in spring, sunburnt leaves in the summer, and premature foliage loss in fall. To help trees avoid seasonal drought, your best approach would include the assistance of a tree care professional. They have the knowledge and resources necessary to ensure your landscaping trees are healthy and ready to take on winter conditions. In addition to tree service, you can also help tree’s retain moisture through adequate mulching, year-round. 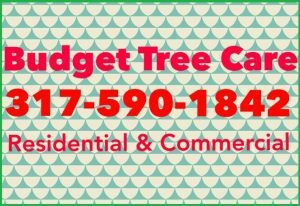 Call Budget Tree Care at 317-590-1842 for professional tree service in Indianapolis, Indiana and its surrounding areas. Owner Curt Scott is a licensed tree care specialist that offers a wide range of residential and commercial tree care solutions at the most competitive prices in town. Request a free estimate, today. This entry was posted in Tree Diseases and tagged Indianapolis tree service, Winter Tree Care, Winter Tree Damage, winter tree problems, Winter Tree Service. Bookmark the permalink.